Each planet in the Solar System has something very special about it, from the rings of the planet Saturn to the fiery inferno of Venus. Jupiter, though, holds a special place in our hearts for its stupendously awesome clouds. These have been revealed in spectacular fashion by NASA’s Juno mission recently. The spacecraft, which entered orbit around the gas giant in July 2016, has been flying over its poles to snap some rather amazing images. 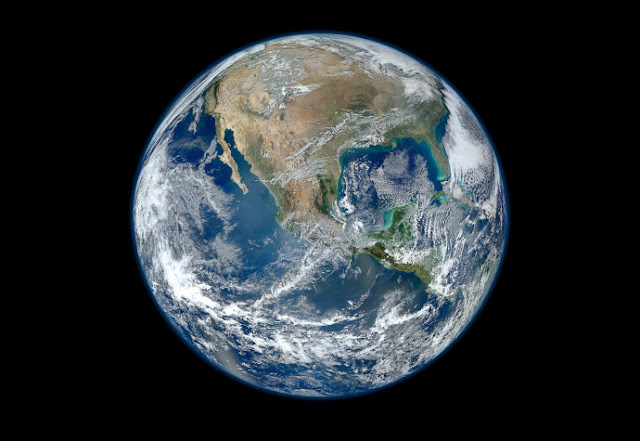 And if you stitch some of those images together, you can actually create a time-lapse video of a specific region of the planet. That’s what citizen scientist Gerald Eichstädt has done, with this wonderful animation below highlighting the movement of clouds on the planet. The region on show here is about four times greater than Jupiter’s Great Red Spot, and big enough to fit several Earths inside it. So you’re seeing clouds on Jupiter move in a rather massive manner. That’s pretty awesome. The animation is eight seconds long and was created by digitally extrapolating between two images that were taken nine minutes apart. In total, the video aims to replicate how parts of the famous bands of clouds on Jupiter are expected to move over a period of about 29 hours. 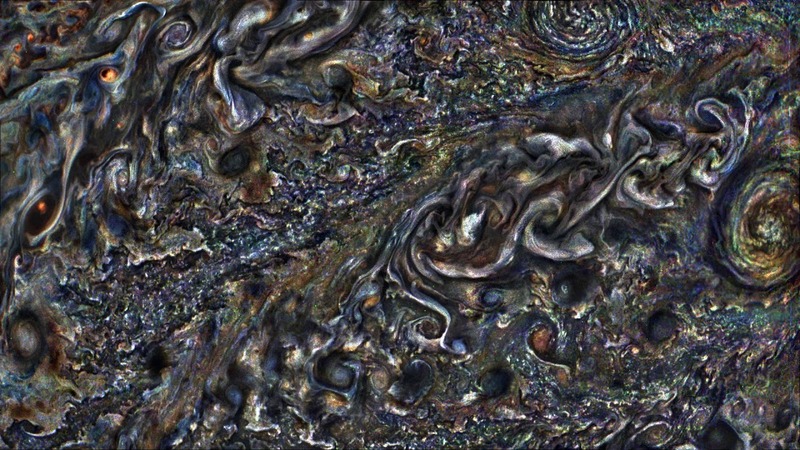 “Abstractly, the result appears something like a psychedelic paisley dream,” said NASA. “Scientifically, however, the computer animation shows that circular storms tend to swirl, while bands and zones appear to flow. The Juno mission is continuing to astound scientists and the public alike, with both its scientific data and its amazing images. Earlier this year, a batch of research from the mission was released, which for the first time gave us a glimpse of what Jupiter might be like on the inside based on gravity data. Scientists have also estimated how far down Jupiter’s bands of clouds go, suggesting they extend about 3,000 kilometers (1,860 miles). And we’ve seen that, at its poles, Jupiter has weird patterns of cyclones that rage. The primary mission of Juno is scheduled to end in July this year. However, if the spacecraft continues to be in good shape, and budgets permit, then we could see Juno continue to operate until at least 2021.